We are still getting catfish bites from the peninsula. Anglers have caught them from the point of the peninsula as well as the northern side of the neck of the peninsula. There has also been a few caught from the ADA fishing pier. Anglers have had luck with night crawlers floated from the bottom with marshmallows, chicken livers, and powerbait. The trout bite is very slow. We haven’t received a plant since June and the surface temperatures have been high. There is an occasional angler who pulls in a trout from the deeper areas of the lake. A few trout catches have been reported from the left side of the swim beach in the early mornings. Some anglers have been seeing trout on their fish finders around 25ft+. The bass bite is still going pretty strong for small bass. Smaller bass will bite just about anything in sight up to their size and they are starting to look about 6 inches in length. 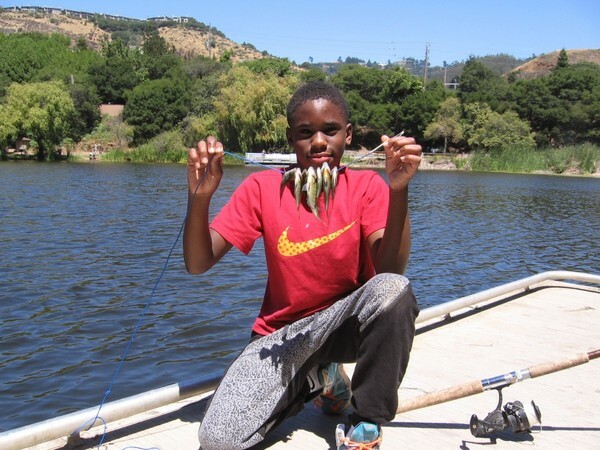 It is a great opportunity to bring a new or young angler out and have a little fun catching and releasing. Small spoons and rooster tails work great on these little guys. Big bass are a little more elusive, but they are definitely out there. Early mornings have been the best bet on luring out the bigger fish. Most of the bigger catches have been reported out of Rainbow Lake.